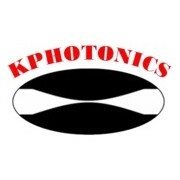 Kphotonics develops experimental kits for educational purposes in the area of ultrafast laser physics and applications. We provide low cost ultrafast fiber lasers for research and industry. We are motivated to provide mode-locked fiber lasers to every classroom where there is a need. Please contact us if you are a teacher and you think that a mode-locked fiber laser would be beneficial for your class. We will make our best effort to give you what you need no matter what budget you have.